this is a memory game in which students will have to match each pair. 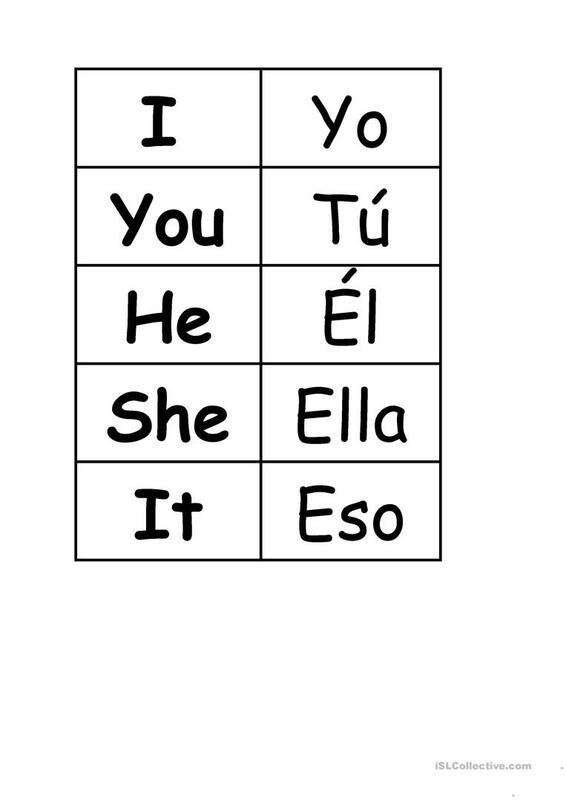 It's bilingual english-spanish. The present printable, downloadable handout is meant for elementary school students at Elementary (A1) level. 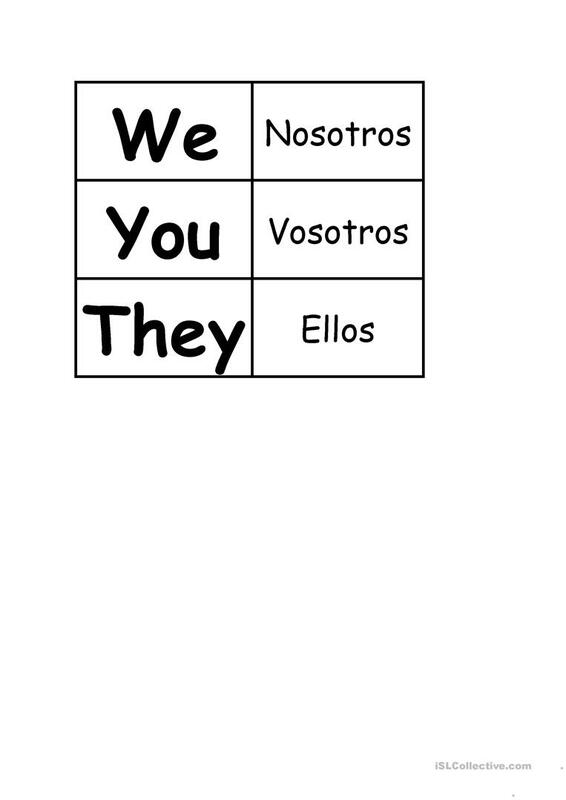 It is a useful material for revising Personal pronouns in English, and is useful for strengthening your class' Spelling and Writing skills. inglesalcala is from/lives in Spain and has been a member of iSLCollective since 2012-11-16 18:26:27. inglesalcala last logged in on 2013-06-16 21:49:13, and has shared 5 resources on iSLCollective so far.